On day four, we picked up our rental car from the airport in the morning and after mistaking the windshield wipers for turn signals half a dozen times, we were on the main freeway out of Sydney with yours truly behind the wheel. 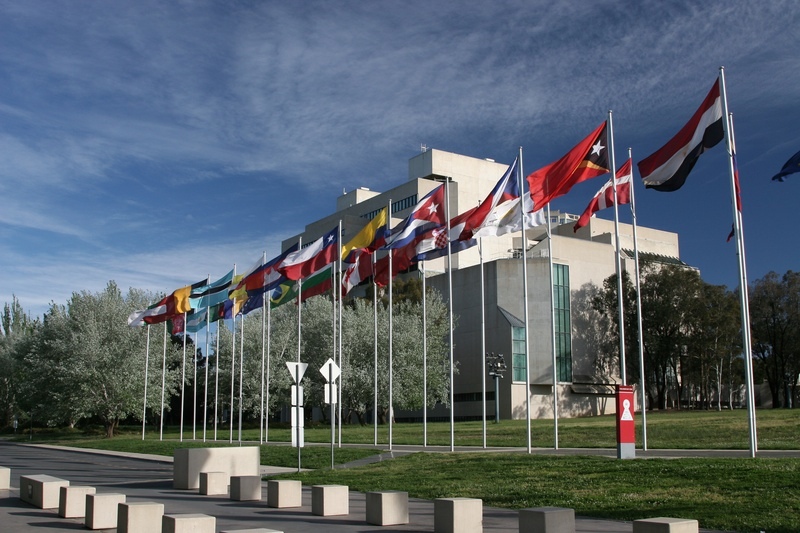 Our first stop in Canberra was the National Museum of Australia. 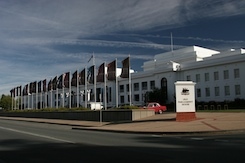 The museum was built quite recently (2001) and is situated on an artificial peninsula of the man-made Lake Burley Griffin. 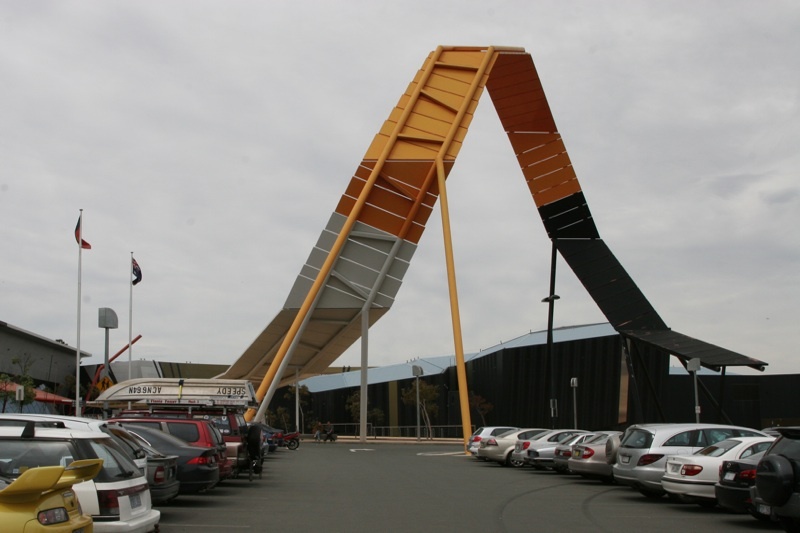 The building's unusual design is intended to have it be the center of a knot with strips extending from it, which are easily visible from the parking lot. 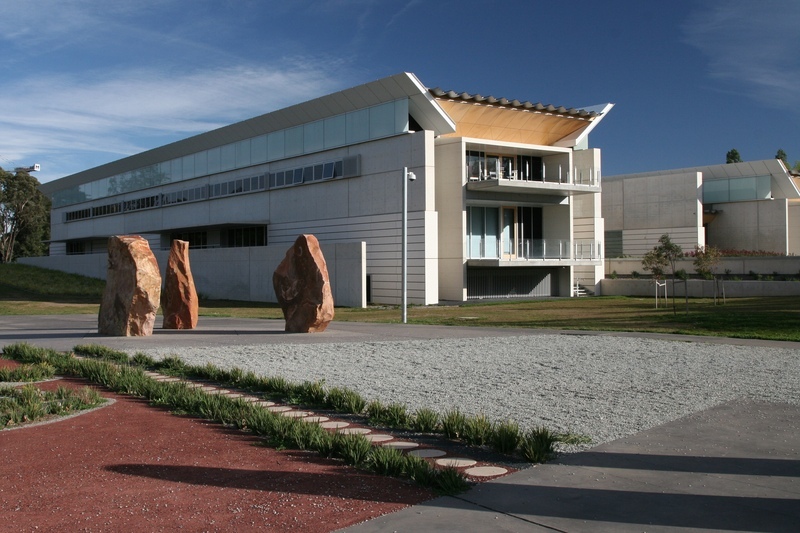 Inside are a variety of exhibitions including aboriginal art, shrines of famous Australian athletes like Ian Thorpe, slang training, and a gift shop that sells Cracker Barrel “vintage” cheese. 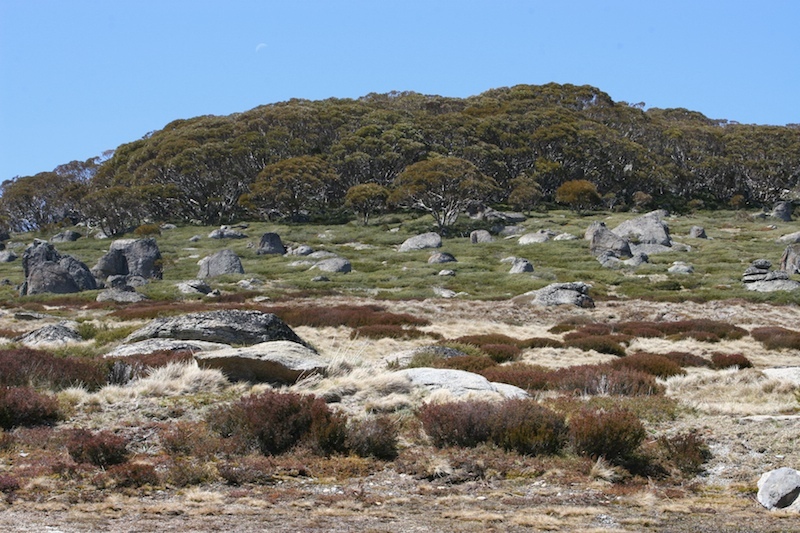 The museum also featured a rotating theatre fitted with an enviously large number of flat panel screens displaying a dizzying array of images in what appeared to be random order, intended to somehow tell Australia's history sans words. 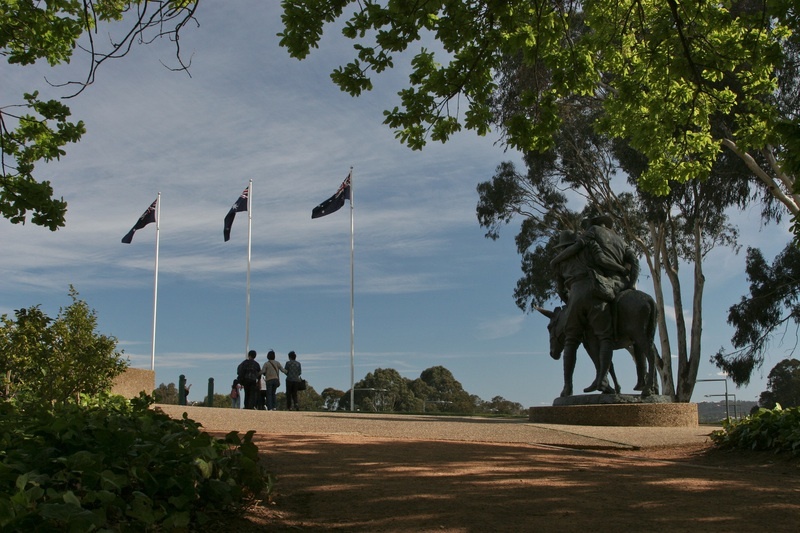 After exploring the museum, Lenny took over the driving (also mistaking the windshield wipers for indicators a good number of times), and we headed over to the Australian War Memorial. 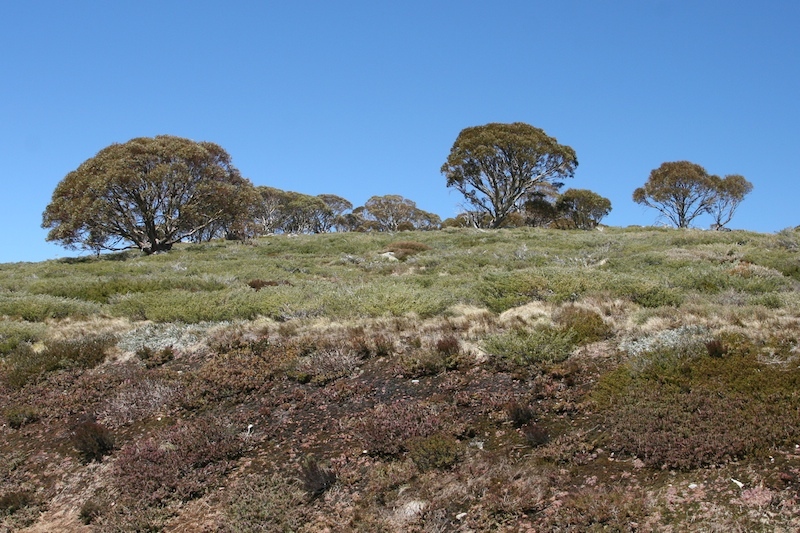 It features well kempt grounds and overlooks the Old Parliament House from its perch on a hill. 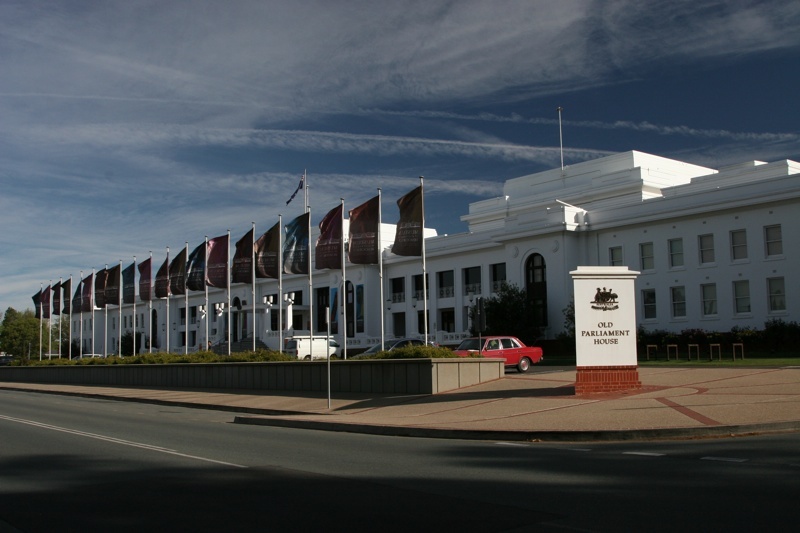 Crossing over lake Burley Griffin into Canberra proper, we looked for parking near the Old Parliament House and discovered an interesting building named “Department of Finance and Deregulation.” It was around 16:30 in the afternoon and a steady stream of people were exiting the building, presumably after a long hard day at the office. 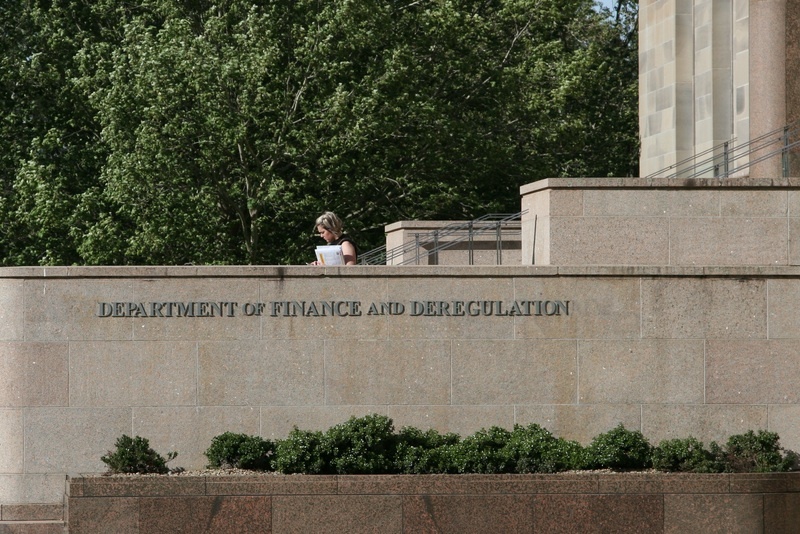 Now, given that government deregulation of the financial industry was in large part responsible for our current global economic mess, an organization bearing both finance and deregulation in its name warrants some attention. So, I found their web site, and I must say, I cannot quite make out what it is that they do, but I have a hunch the deregulation part is not a good thing. 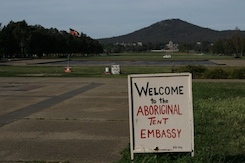 Across the Deregulation building is the Old Parliament House on whose lawns rests the Aboriginal Tent Embassy. 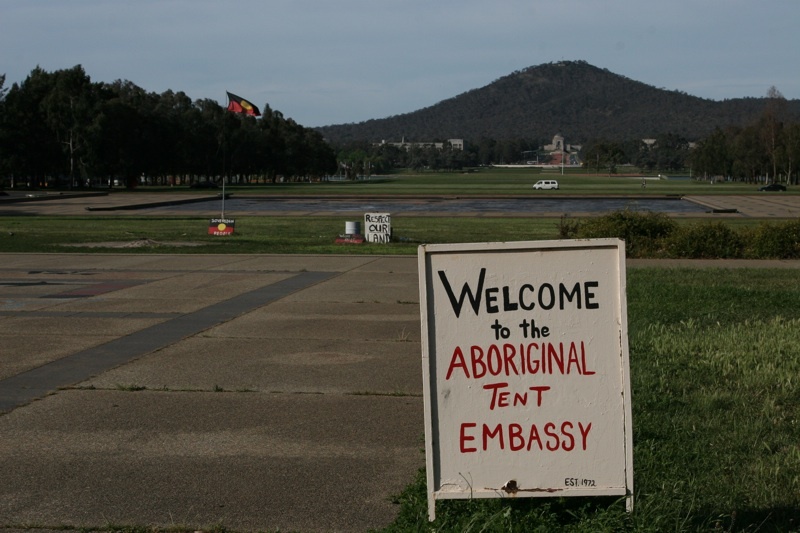 Despite the unofficial looking sign, the tents have been there for decades to protest the lack of recognition for Aboriginal land rights and could possibly remain there well into the future. 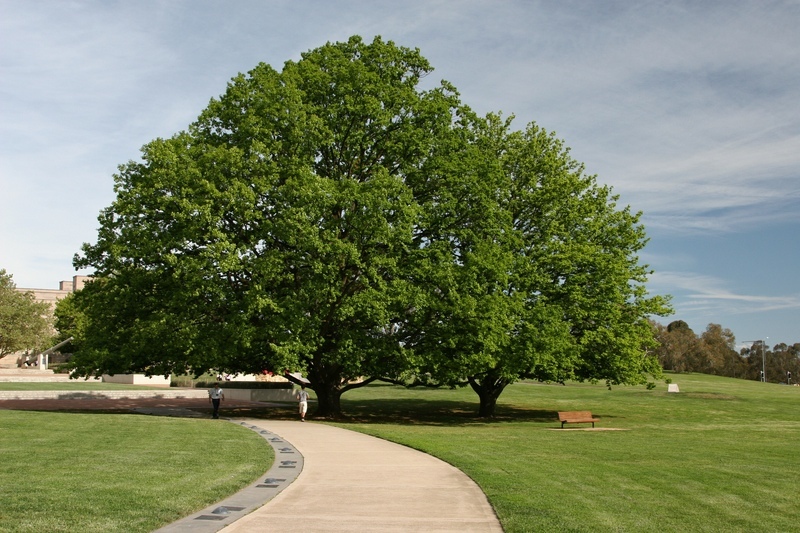 On the other side of the lawn, near the lake shore, is the National Portrait Gallery and the High Court of Australia. 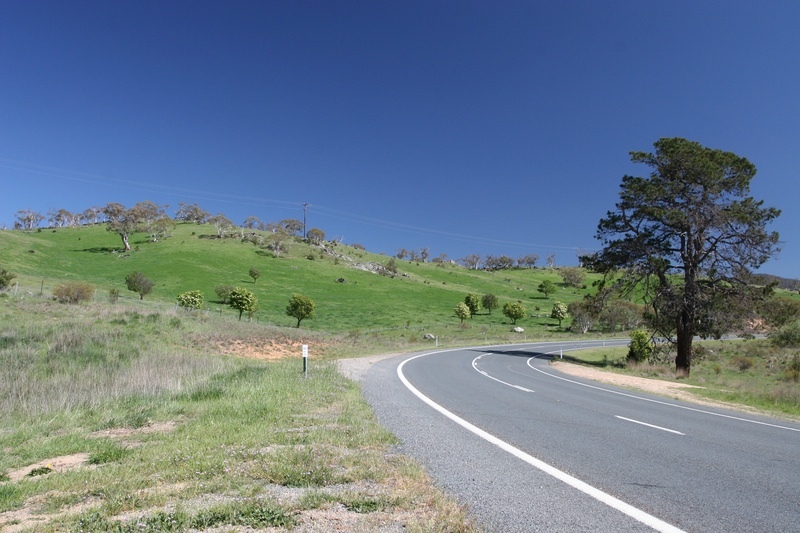 Fairly certain we had seen most of what Canberra has to offer, we continued south towards a small town called Cooma, about 100km away, where we spent the night. 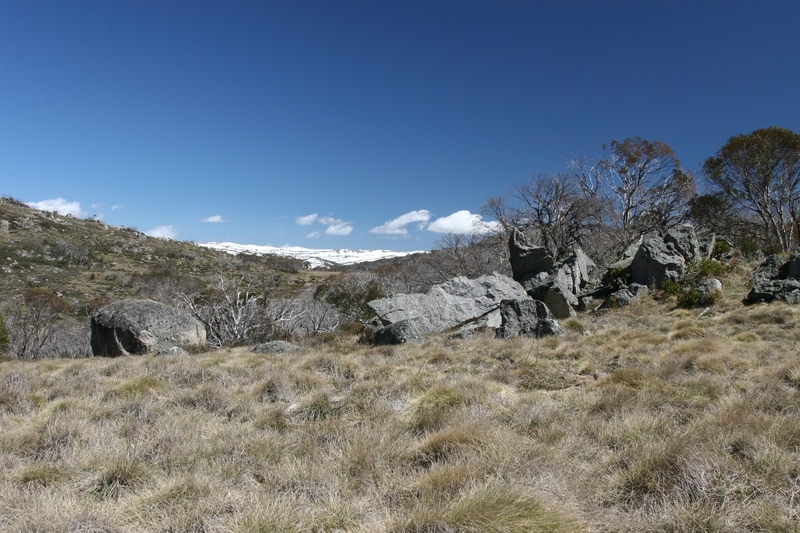 The next morning we set out in the hopes of climbing to the top of Mt. 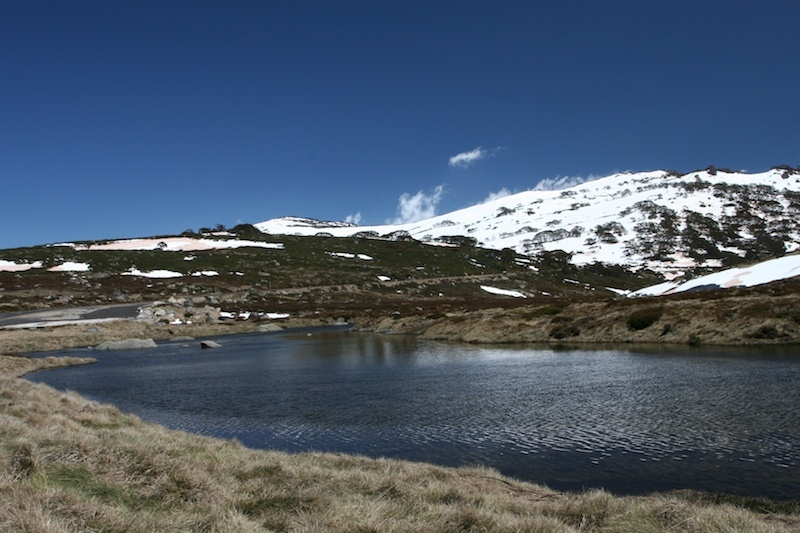 Kosciuszko. We were informed on multiple occasions, however, that although one could get most of the way up by car, one would need skis or snow shoes to actually get to the peak. Sadly, our sources were quite right. 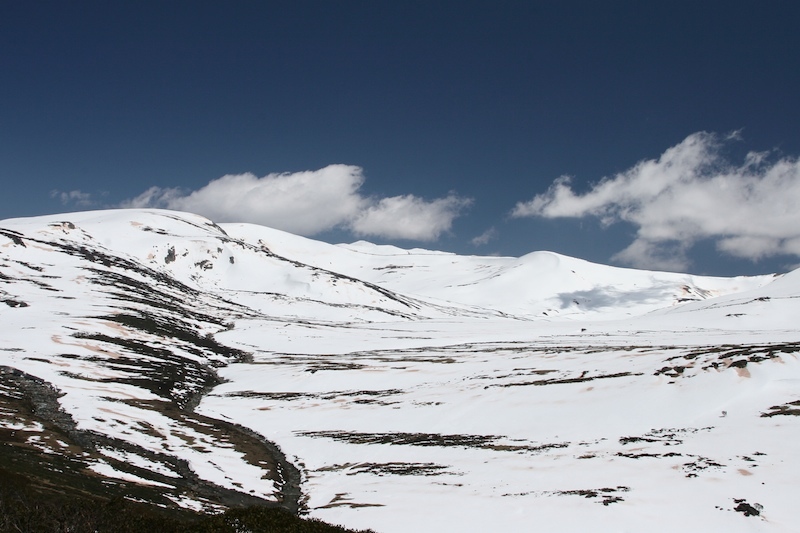 We did get a good view of the peak though, which appeared almost within reach. 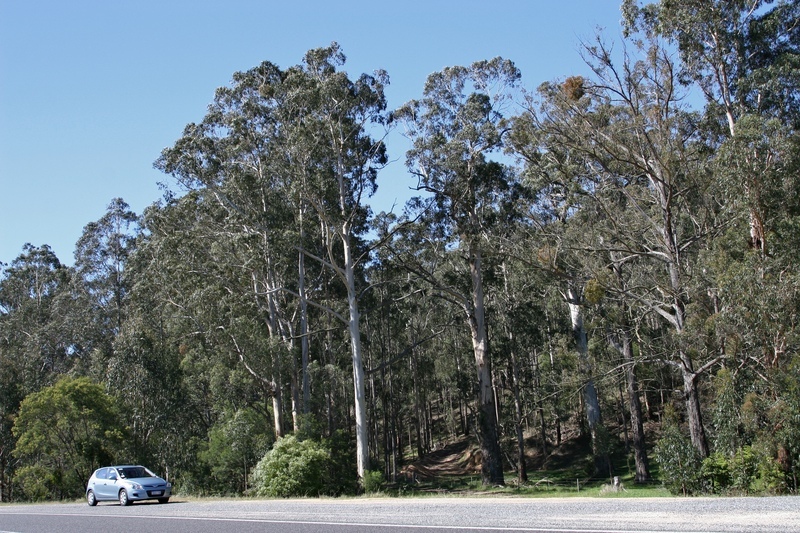 The road to Melbourne took us through lush vegetation near the New South Wales / Victoria border. 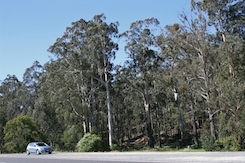 The eucalyptus trees in particular were abundant along our entire route and easily dwarfed our tiny rental car. 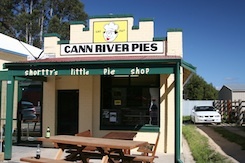 As we approached Melbourne, we made a quick pit-stop in a small town called Cann River for some meat pies. Our stomachs grateful, we continued on to our destination.